Beth is a hardworking, motivated Realtor whose goal is to make each of her clients feel as if they are family. She is a lifelong Missouri resident that is familiar with all St. Louis, St. Charles, and surrounding areas. She currently resides in Wentzville with her husband, 3 kids (2 have already flown the coup! ), and 3 dogs. 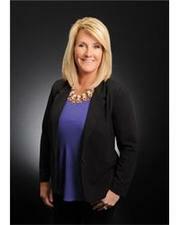 She loves watching her daughter dance and her boys play lacrosse and is an active member of the Wentzville Lacrosse Association Board. Beth is a lover of all animals, but has a special place in her heart for helping find homes for rescued dogs and cats!